The State Theatre was filled with the holiday spirit as Celtic Woman sang the carols we all know so well along with some less familiar ones. It was a night of holiday cheer for ages young and old and for many it was the perfect Christmas present. As someone who grew up listening to bagpipes it was slightly disappointing that there was only one bagpipe and that he had such a small role in the performance. But overall the performance was an enjoyable one. Celtic Woman opened their show with two crowd favorites “It’s Beginning to Look Like Christmas” and “Deck the Halls.” Susan McFadden wowed the crowd with her solo piece “The Christmas Song.” But at least for me, Eabha McMahon stole the show as she sang “Silent Night” in her native tongue of Irish. She was followed by Maired Carlin singing “We Three Kings” while accompanied by a piper. As they moved more into the traditional hymns, singing “O’ Holy Night” and “Royal David’s City.” Tara McNeill, the newest member of Celtic Woman, danced across the stage as she played her violin along with the orchestra in her first American tour. Celtic Woman seemed to shine even brighter as they sang “O’ Danny Boy” and “Mo Ghile Mear.” “Mo Ghile Mear” can be found on their newest album Voices of Angels. 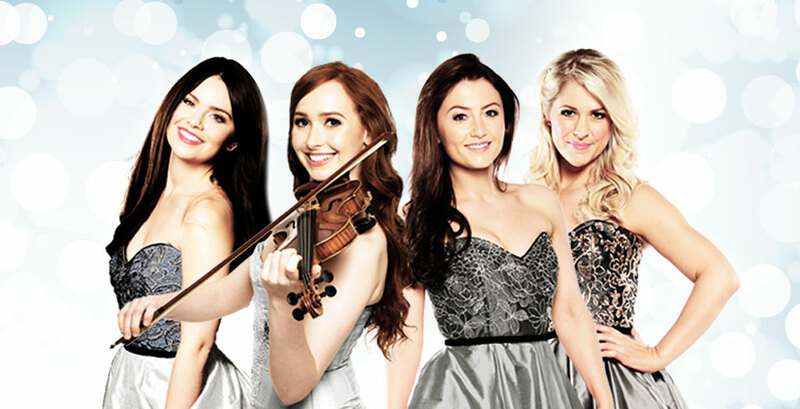 They also had some exciting news to share with the audience, The Celtic Women were nominated for a Grammy®! It would not have been a Celtic Woman performance if they did not sing “You Raise Me Up.” They ended their performance with a beautiful rendition of “Auld Lang Syne” accompanied once more by the wonderful piper. While the show was not what I was expecting or hoping for it was definitely a great experience and I would gladly go again if given the opportunity. Celtic Woman have more than earned their place in the music world and I am sure they will continue to bring holiday cheer to all ages for years to come.